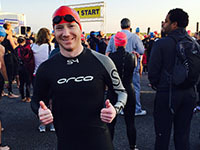 TRIATHLON WETSUIT RENTAL MADE EASY! 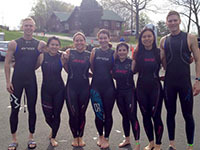 For upcoming events the weekend of May 4th & 5th our wetsuits will ship out on Friday, April 19th. Late orders ship out the day the order is received. Our rental price is $45. 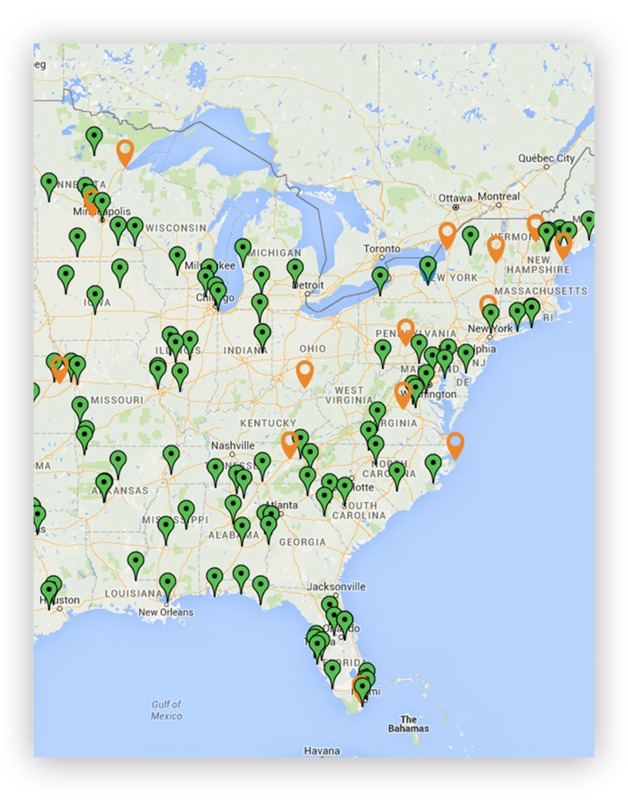 We give you the option when it comes to shipping! If you plan on purchasing the wetsuit, no sense in paying for return shipping. With this option the cost is $55 and that includes shipping to you. You may have a business account with a postal service that you would like to use instead, no problem! Local? Feel free to come by our facility to pick up or drop off your wetsuit rental. Ordering more than one wetsuit? 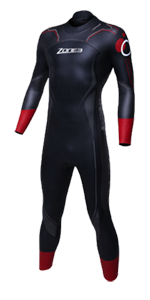 Multiple wetsuit rentals can bring down the shipping cost. Or you can pay full shipping for each suit at other places. Our wetsuits ship out over 2 weeks before your event, giving you the longest rental periods in the industry. Wetsuits ship out the 3rd Friday before your event weekend. Meaning you will receive them with 2 weeks of training time. If you’re ordering inside the ship date for your event, they will be sent out the next day. We pride ourselves in taking care of our customers… We will work with you in every stroke of the process, from fitting to shipping, that is our promise to you. Train harder and longer! We offer the longest wetsuit rental periods… period. 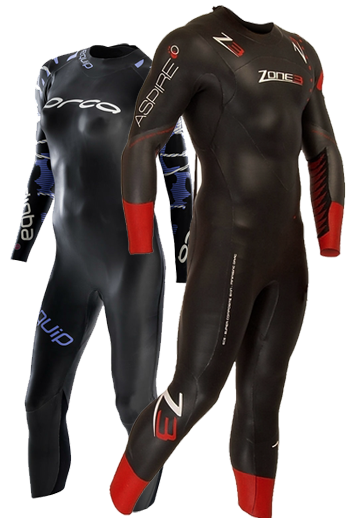 We ship our wetsuits out over 2 weeks before your race. Late orders ship out the next day! Find important information regarding your race like estimated water temperature with our new comprehensive triathlon calendar! When does the suit ship? Our scheduled ship date is the second Monday, approximately 13 days before your event weekend. We offer the longest wetsuit rentals period because we believe there should be no surprises come race day. After the wetsuit has been shipped it will arrive within 1-3 days, giving you a week and a half to get a feel for the suit. If you would like your wetsuit sent a week earlier, we will ship it out on the previous Monday from your ship date and the fee will be $15. If you want it even a week earlier the fee will be $27. Can you take late orders? In most cases, if the order is made early enough, we can ship the suit out the same day the order is made. This is important if you have waited until Tuesday or Wednesday the week of your event to place your order since time is crucial. Last year over 90% of our orders took 2 days to arrive with standard ground. However, if it’s Wednesday it would be better to use 2 day shipping to ensure the wetsuit arrives in time for your event. We urge you to call (813-546-6235) or email (mike@triwetsuitrentals.com) us if you are ordering Wednesday or later so we can tell you when your suit is scheduled to arrive and if expedited shipping is necessary. How do you know it will fit? This is a common concern. We have seen a wide range of body types and we take all that past experience into account when we size a person. All these suits have different requirements for their sizes so a medium in one brand is not necessarily a medium in another. Certain suits fit smaller than their charts imply and others tend to be quite accurate. That’s why we send our wetsuits out sooner than anybody. 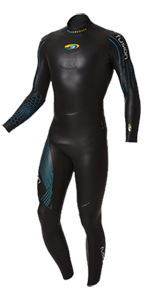 If after swimming in your wetsuit you feel the wetsuit is still too tight we will send out a replacement wetsuit. We try everything in our power short of delivering it to your door ourselves to get it right. Where do I return the wetsuit? Before returning your suit it should be rinsed out thoroughly and dried. Please do not leave your wetsuit outside exposed to direct sunlight. Hang dry your suit on a shower rod after your event. What happens if I rip my wetsuit? Small tears are going to happen. The neoprene in most of these suits is quite delicate and tears rather easily. The most common cause of wetsuit tears come from finger nails when donning your wetsuit. When putting your wetsuit on be sure to use the tips of your fingers and not your nails. For small tears there will be no charge but please be careful still. If the tear is large and goes all the way through, you may be charged the purchase price of the wetsuit depending on whether the suit can be repaired. What constitutes a large tear? If it’s 2-3 inches or longer that’s a pretty good indication the wetsuit was mishandled. We charge a minimum of $25 for damage that we deem as negligent up to the price of the wetsuit for extreme damage. What if the suit doesn't fit? Remember, these suits are supposed to fight really tight. This tightness usually subsides after you get in the water and the wetsuit expands. Before you make a judgement on whether or not a suit fits you must swim in it. It is hard to gauge if a wetsuit fits or not just by trying it on. These wetsuits are hot and tight when you are on dry land. One test that you can do is to squat down and simulate a swimming motion with your arms. A wetsuit that’s too tight will give you a lot of resistance. If after properly putting on the wetsuit you still believe that it doesn’t fit, contact us immediately and we will send a replacement suit out. The other suit must be returned back to us the same day the replacement suit is sent out. Customers are responsible for shipping the first wetsuit back to us. The replacement wetsuit will be the same style wetsuit (sleeved/sleeveless) that was originally ordered. I like the suit! Can I buy it? Yes you can. We will deduct $45 off the purchase price of the wetsuit. What if my event was cancelled? Once a wetsuit has been shipped we do not offer refunds since the wetsuit has been reserved. Event cancellations do occur unfortunately. If your event or swim is cancelled we will give you a discounted rate on your next order. What sizes are your suits? For the men our sizes range from 4’10” – 6’7″ and 120-245 lbs for the weight. For the women our sizes go from 5′ – 6’2″ and 95-220 lbs. Why even use a wetsuit? Wetsuits do indeed keep you warmer than you would be without one, but this really isn’t the primary function of the suit. Triathlon wetsuits give you buoyancy, and allows you to swim faster and more efficiently thus allowing you to save your energy for the other disciplines. Buoyancy is the main function of the suit and swimming faster and more efficient is a result of being buoyant. Being buoyant in the water helps reduce drag because you’re higher up in the water than you normally would be with no suit. Less water equals less resistance. Most triathlon wetsuits now days, whether they are entry level or elite, are coated with some form of SCS which has hydrophobic properties and helps reduce drag so you glide through the water. Thank you for the email. I must say that you have been very helpful, and the business is very speedy and efficient. I know if I didn’t have that wetsuit, especially with the short notice, I would not have gotten to compete. It made the difference to me. Thank you again. The wetsuit arrived on Tuesday just as you said! And you’re right it seems to fit and work just fine! Thank you for making that happen for me! 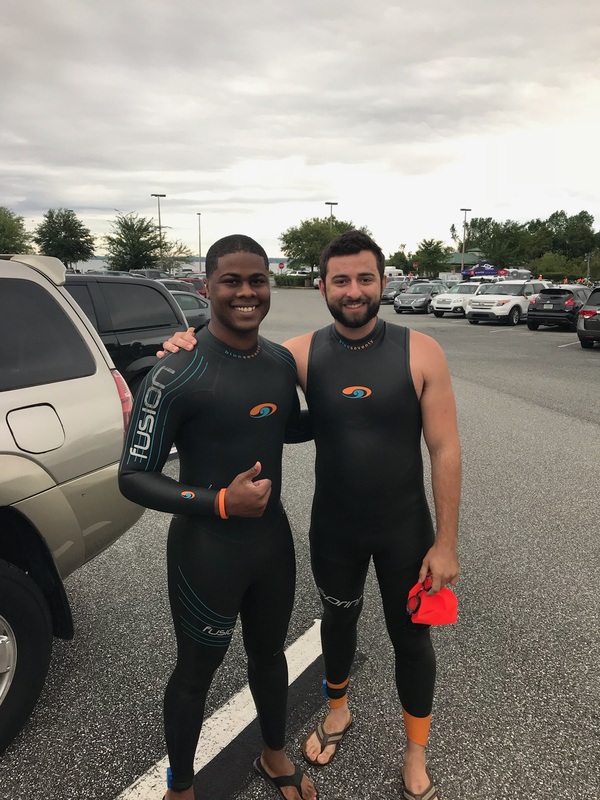 I just finished my first tri and the suit rocked! I wouldn’t have been able to get through it the way I did (freakin hard) without it. It fit perfect. Thanks Mike! The suit fit great and my swim was great too! Thanks for your service and also for your letter with hints…..it was fantastic to slide the suit on over the plastic bags, especially as I watched others struggling. People commented that I was a professional (this was my first tri) Thanks again. This is my second time renting from Mike. He and his company do a tremendous job. I’m kinda new to triathlons, and they can be complicated – training, keeping your bike in good tuning, preparing all your equipment, etc. My biggest concern the first time was getting a wetsuit. With Mike’s service, the ordering is very simple; the cost is reasonable; and the suit arrives promptly, with plenty of time for you to try it on and try it out. Getting the wetsuit is now the LEAST of my concerns when prepping for a triathlon. Thanks, Mike. This is my second time renting from Mike. He and his company do a tremendous Mike takes time to explain the rental process and goes in depth on all the aspects of the different types of wetsuits. I got mine a few extra weeks out to get a few practice swims in before my race. Customer service is awesome and I will rent from Mike and the team as long as I need a wetsuit. Thanks for the reminder email. I dropped off my wetsuit this morning so hopefully it will arrive to you in a few days. The suit was great and the race went really well! The water temperature was around 64 degrees but with the wetsuit I didn’t even notice the cold. And the suit made such a difference in my swim time. I will definitely be in touch before my next race at the end of the summer. In today’s digital age where the hustle and bustle of everyday life can become overwhelming, we recognize that it is crucial for our company to remain connected to the needs of our customers so that our response time can match the time sensitive nature of our client’s concerns. We are available twenty-four hours a day to answer any questions that may arise related to the wetsuit rental process. In the event we are assisting another customer at the time of your query, we will make every attempt to respond to any questions or concerns promptly. We believe that comprehensive customer service is paramount to the success of our business. As our goal is to remain at the pinnacle of triathlon equipment supply we take every effort in responding to our customers in an efficient manner. Allow us to exceed your expectations! Wetsuits do indeed keep you warmer than you would be without one, but this really isn’t the primary function of the suit. 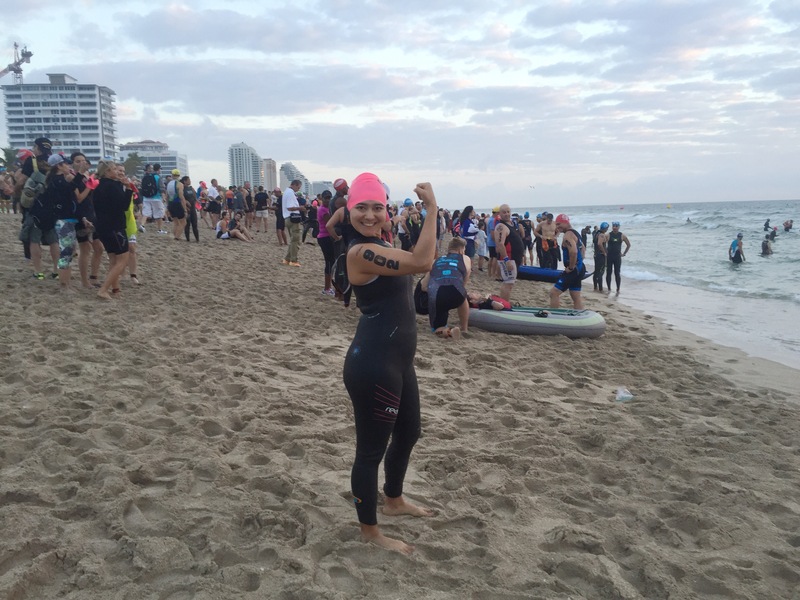 Triathlon wetsuits give you buoyancy, and allow you to swim faster and more efficiently thus allowing you to save your energy for the other disciplines. Buoyancy is the main function of the suit and swimming faster and more efficient is a result of being buoyant. Being buoyant in the water helps reduce drag because you’re higher up in the water than you normally would be without a suit. Less water equals less resistance. Most triathlon wetsuits now days, whether they are entry level or elite, are coated with some form of SCS which has hydrophobic properties and helps reduce drag so you glide through the water. 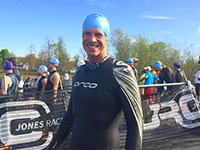 Here at Tri Wetsuit Rentals one of our top priorities is to make the wetsuit rental process as easy and painless as possible. Our wetsuit rental inventory consists of 2015-2017 model triathlon wetsuits from Blue70, 2XU, Orca, Zoot, Huub, Rocket Science, Zone3, Aquaman, ROKA, Aqua Sphere, and Tyr.